This modular system is designed for both heating and cooling, the ChilliBlock base easily attaches to most laboratory heating cooling circulators. Its low profile allows the fitment onto robotic platforms but it can also be used as a stand-alone system. 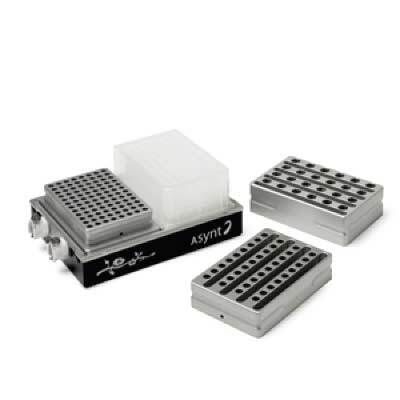 ChilliBlock has interchangeable blocks for tubes, vials and plates but custom sizes are also available. The ChilliBlock tube blocks are manufactured from clear, resistant, anodised Aluminium. They are not just designed to be used on the active heating/cooling plate but can be used stand alone with an ice bath or simply pre-cool them for use directly on the lab bench. 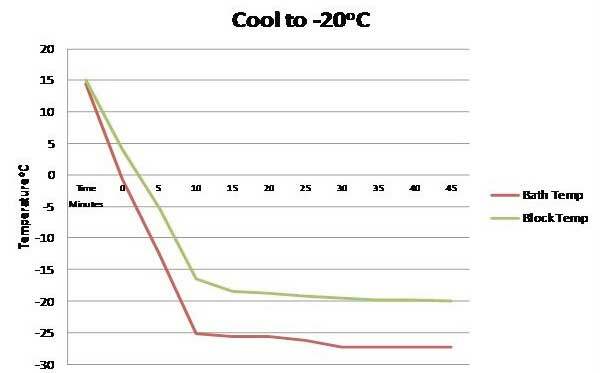 The ChilliBlock cooling base is insulated to ensure performance, temperature homegeneity and to reduce ice formation.